Alcohol abuse is the third-largest contributor to death and disability in South African after sexually transmitted infections and interpersonal violence. Alcohol's contribution to the economy is lauded; the cost of alcohol's harm to the economy is laundered. Chair of the Southern African Alcohol Policy Alliance, Savera Kalideen, points out that policies in South Africa protect profits but fail to address alcohol's harmful effects on society. The article is published in the newspaper Mail&Guardian. 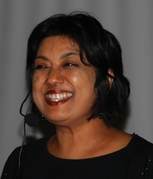 Savera Kalideen, senior advocacy manager at the Soul City Institute for Health and Development Communication and Chair of the Southern African Alcohol Policy Alliance describe the situation observed by Soul City's PhuzaWize campaigners in one of their community mappings. When campaigners were mapping the township and its shebeens, they found children – in school uniform – openly consuming alcohol. Kalideen cites a study published in the South African Medical Journal last month, "The Cost of Harmful Alcohol Use", based on research commissioned by the South African department of trade and industry. It found that current policies around the sale and cost of alcohol are designed to maximise industry profits, taxes and job creation, but don't mitigate the harmful effects of alcohol on society. Says Kalideen: "Alcohol's contribution to the economy is lauded; the cost of alcohol's harm to the economy is laundered." She reccommends a holistic approach towards dealing with alcohol use and abuse, including life orientation for young people, training for owners and employees who run alcohol outlets, increased taxation to reduce consumption, a minimum price, trading hour restrictions, drink- driving restrictions and improved enforcement as well as a review of the minimum drinking age and content of alcohol that young people are allowed to consume. Lastly Kalideen also argues for the banning of alcohol advertising, which has been a fierce debate in South Africa over some time now.